It might not come as a surprise that the two most frequently attacked paintings were made by the most popular Dutch artists. Rembrandt and Van Gogh. Vandals seek to get as much attention as possible. But what justifies someone’s hateful behavior against Barnett Newman’s monochromatic art and the Dutch master Van der Helst’s portraits? 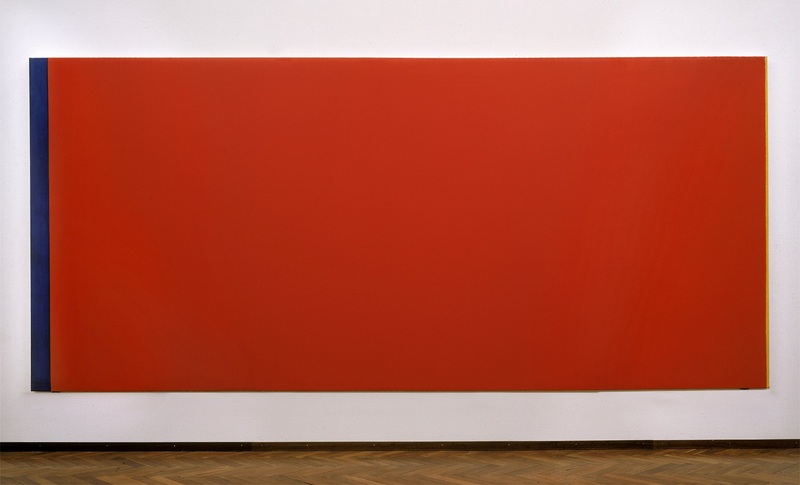 >>> On March 21st, artist Barbara Visser gives a lecture on Who’s Afraid of Red, Yellow and Blue III (1967) at the Balie, Amsterdam. 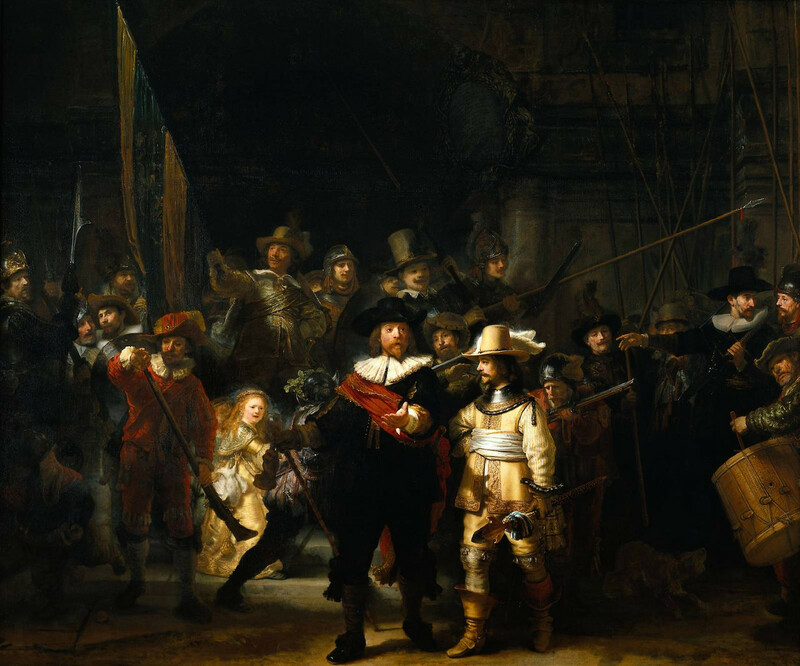 The Night Watch (1642) at Rijksmuseum, was attacked three times, each in the 20th century. January 13th 1911, a man carved into the canvas with a shoe knife; September 14th 1975, a man left the big zigzag marks of a bread knife behind. April 6th 1990, a man sprayed hydrochloric acid onto the painting with a plant sprinkler. The painting was restored every time. (Rembrandt’s Danae was badly damaged at the Hermitage in St. Petersburg in 1985, when someone poured sulfuric over the work and damaged it with a knife afterwards). Gerard Jan van Bladeren, a Dutch vandal, seems to have a serious problem with the work of the American abstract expressionist Barnett Newman. In 1986, when Van Bladeren was 31, he walked into the Stedelijk Museum and damaged Newman’s Who’s Afraid of Red, Yellow and Blue III (1967) with a big knife. He was sent to prison for five months and got 3 months probation for his crime. The restoration of the painting took four years and cost roughly € 300.000, but apparently, Van Bladeren felt like ‘his contribution to the work’ was undervalued, as he returned to the Stedelijk in November 1997 with the intention to whip the work once again. It was not on display this time, so he damaged Newman’s monochrome dark blue Cathedra (1951). Ever since, it’s being shown behind plexiglass. 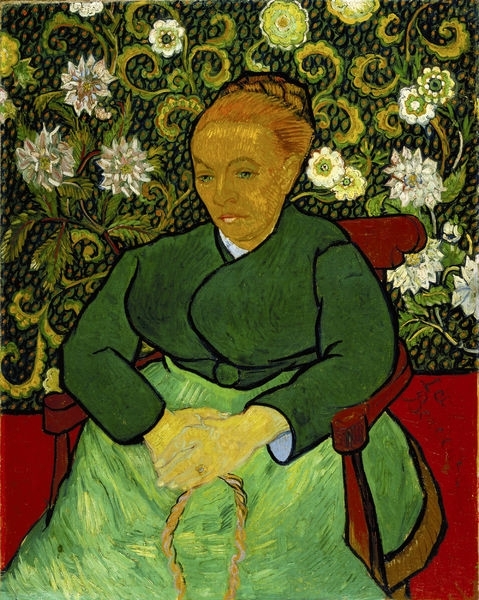 April 6th 1978, right before closing time, a Dutch artist got so angry over an unfulfilled payment that he made three incisions of about 30 to 40 centimeters long, right through the middle of La Berceuse (1889), Van Gogh’s portrait of Augustine Roulin. That same month, a vandal walked into the Van Gogh Museum next door and carved into Self Portrait with Gray Hat (1887) twice with a knife, before being overruled by security. June 25th 2006, a 69-year-old German and serial vandal Joachim Bohlmann splashed lighter fluid on Banquet at the Crossbowmen’s Guild in Celebration of the Treaty of Münster (1648) by Van der Helst, with the intention to set it on fire. It was on view at the Rijksmuseum at that time. The damage was limited to the layer of varnish and it was easy to restore. 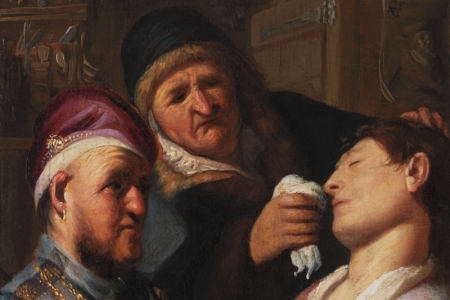 Bohlmann got detention for three years, but was set free early because he was terminally ill. Another vandal attacked a painting by Van der Helst in 1989, at the Rijksmuseum, with a knife this time. 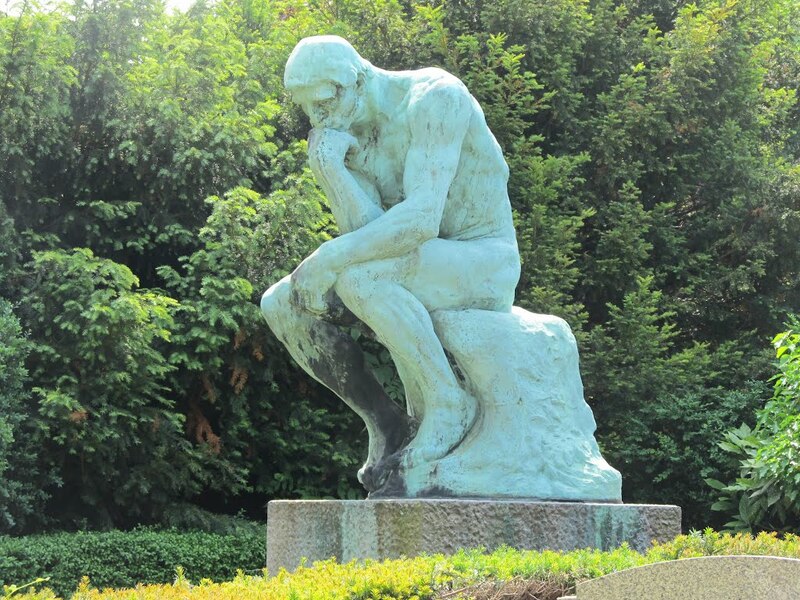 January 17th 2007, a few thieves stole Rodin’s The Thinker from the Singer Museum in Laren, together with six bronze sculptures from the sculpture garden, with the intention to melt the bronze. The Thinker was found two days later; the other sculptures had already been destroyed. The Thinker was not in good condition either: the sculpture was cut into small pieces and for a long time, it was assumed that it could not be restored. Fortunately, the masterpiece was repaired – but for safety reasons it’s only being shown inside.